The FIRST and ONLY circular, 360-degree rotating cosmetic vanity tower to help organize all your bathroom necessities in a neat and most efficient way, without taking up too much counter top space. Multi Use – Store all your items in one place. Can be used to organize and declutter any items in kitchen, bedrooms, bathrooms, closets, garage and classrooms. Find beauty in organization with the MobileVision Bamboo Rotating Organizer for your bathroom and cosmetics. Sick of figuring out how to organize your cosmetics, skin care and hair care products? 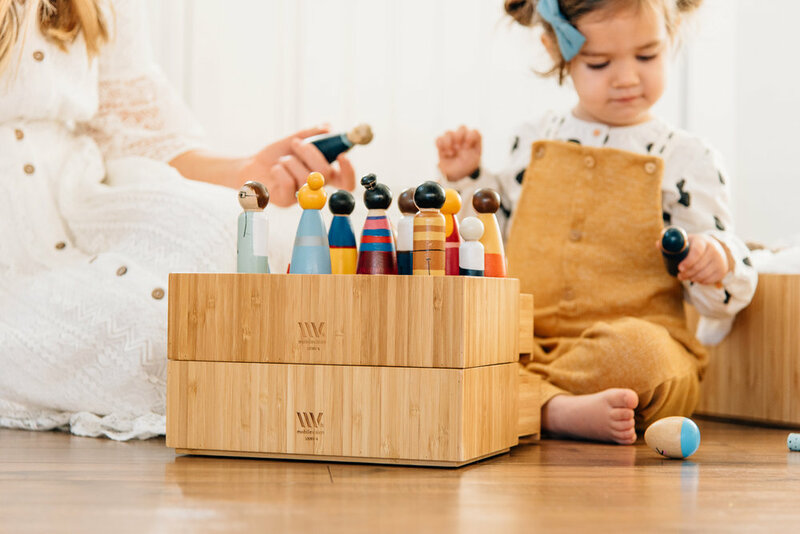 No more cheaper plastic versions, this long awaited eco-friendly bamboo carousal is not only sturdier than the rest but absolutely beautiful, and blends with any bathroom decor. Say farewell to all the wasted time lost searching for the favorite products you use every day. This makeup carousel will WOW you with the power to not only clear up the clutter but become a more beautiful you in a shorter time. With this super-organizer you will be poised and ready to be the fairest beauty of them all.